weird because I wasn’t ill.
curled up with a beautiful woman for instance. told her they were quite successful. those who leave prejudice behind. Can you imagine a world of equality? Good people do a lot. Even those with not much interest in it. For that to become reality. Are putting blocks up to what will come. They simply just delay it. The ancestors you could call us. And that’ll be their loss. Well that’ll just be history. 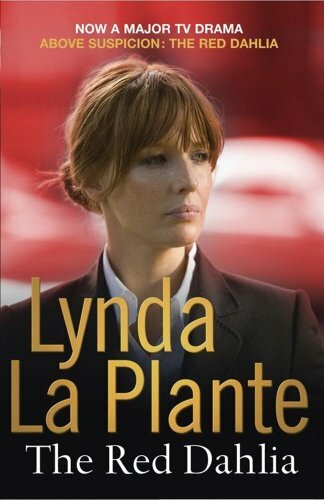 The Red Dahlia By Lynda La Plante Review! 24-year-old Louise Pennel has been murdered and her body has been found by the River Thames. The press become interested in covering the case and call the case The Red Dahlia due to it’s similarities to the unsolved 1940s murder of another young woman called Elizabeth Short. Detective Anna Travis is on the case to find the killer in this Lynda La Plante thriller The Red Dahlia (Published in 2006, Simon & Schuster). The book is excellently written with a variety of very different personalities all thrown into the mix. There is also an element of romance running alongside the main thriller plot with Travis and Chief Inspector James Langton as they try to unravel the case. There is many twists and turns to keep readers interests engaged throughout. The killer becomes very obvious quite a while before the end of the book which is the one flaw I did find but there is still many twists and turns as to the question of whether or not the killer will be brought to justice and the ending is brilliant because it’s not a typical ending. But I won’t spoil it on you. La Plante’s writing style throughout is excellent. It is very down-to-earth, matter of fact and earthly. She writes it very naturally. The way she writes about how the press quite often make sensational headlines even out of tragedy is very true of so much press that surrounds us in real-life. The sun shone brightly down on Ruby’s fur. The Toy Fox Terrier rolled over in the grass as her owner Laura and Laura’s girlfriend Kelly appeared in the garden to join her. Laura was holding a packet of ham in her hand. “This I’ve got to see!”, Kelly replied, playful sarcasm in her voice. Laura rolled her eyes and took some ham from the packet. She handed the packet to Kelly and walked over to Ruby. “Right.”, Kelly said, raising an eyebrow. “We’re practicing the spin at the moment.”, Laura explained. She showed Ruby the piece of ham and moved it around in a circle which Ruby followed. “Who said it was friendly?”, Laura smiled. Laura lifted another piece of ham over Ruby’s head. Ruby looked up at it. Kelly struggled to keep in laughter. Life with Laura was never dull at least, she thought. “That trick might take slightly longer.”, Laura sighed. The competition was drawing nearer. Laura, Kelly and Ruby went out to the park to see Ruby’s progress. Laura raised her hands high over Ruby’s head. Ruby stood up on her hind legs and began to move around. Laura and Ruby did their routine consisting of Ruby dancing on her hind legs, pushing her legs off Laura, spinning, jumping through Laura’s arms while she was on her hunkers and going around Laura’s legs. The day of the local dog dancing competition arrived. The judges were in place. Animated chatter rang around the venue. Kelly took her seat in the crowd. It was worse she thought to be the girlfriend of the performer than to be the performer. Laura had worked so hard with Ruby. She couldn’t bear for it to go wrong. Soon it was time for Laura and Ruby to take to the stage. Kelly smiled down a comforting smile to Laura before she began. Once they got over the first tentative steps, everything else flowed together brilliantly. There was a standing ovation, thoughts of winning. That was before Susan and Perry came on to perform and when Perry jumped over Susan the dream was over. Still second was a good result. “A what?”, Kelly replied, in shock. As they kissed, Ruby jumped up on their legs. “I think in her own way she’s excited by the news.”, Kelly smiled. “Well you’re our only little child for now petal.”, Kelly said, kissing her head as they walked from the venue.